We are pleased to announce our next meeting of our networking group for local business people which will be on Wednesday 10th October. 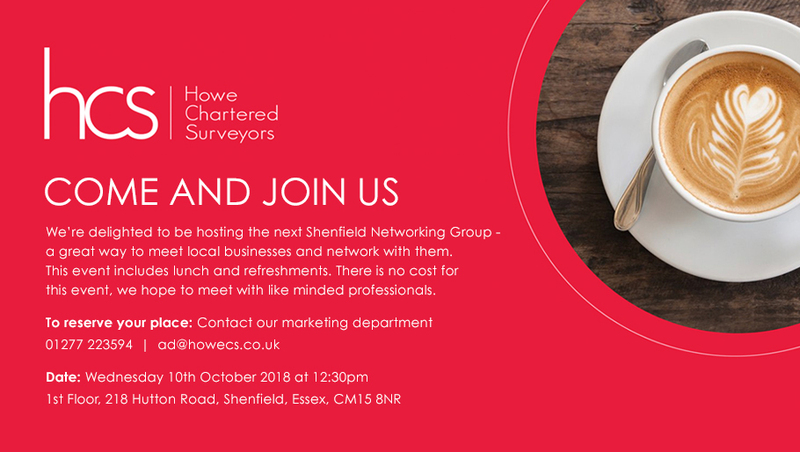 It will be a lunch event from 12.30, held at Howe Chartered Surveyors, 1st Floor, 218 Hutton Road, Shenfield, Essex, CM15 8NR. There is no cost for this event. We hope you can join us and meet with like minded professionals.